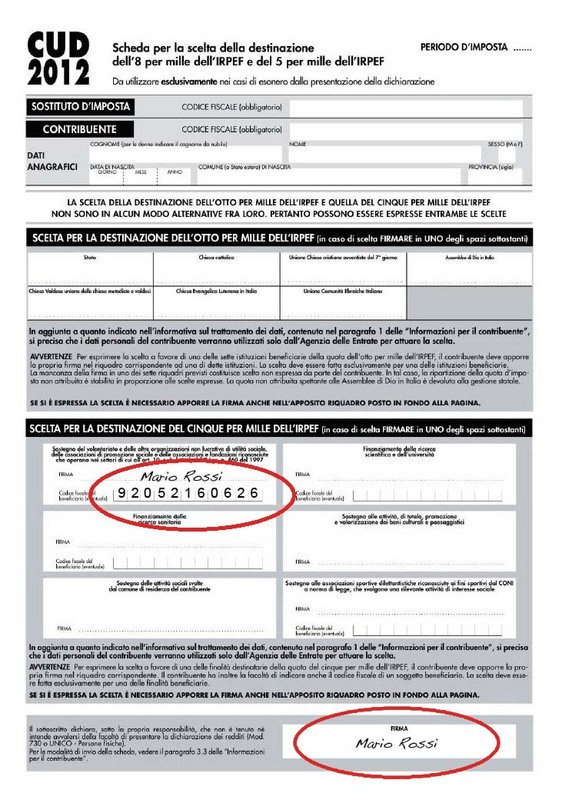 To offer your help is simple: you can turn your income tax return into a act of solidarity, earmarking your 5X1000 to ANGELO AFFINITA FOUNDATION ONLUS. In the modules for your tax return (CUD, 730 and Modello Unico) nsert your signature and our tax code: 92 05 21 60 626 in the box provided (“Choice of destination of five per thousand IRPEF”). Write our tax code 92 05 21 60 626 in the declarative model attached to the CUD, in the top left pane, and remember to affix a double signature. For model 730 and model Unico just indicate the tax code 92 05 21 60 626 to the intermediary (accountant, CAF, etc.) who fills out the form for you.